Since its beginnings, the Takiwasi Center has promoted scientific research on its therapeutic protocol for the treatment of addictions, whose originality and efficacy has interested researchers in Anthropology, Ethnology, Medicine, Psychology and Psychiatry. Up to now the treatment model has been the object of study of more than 50 international research projects, articulating an interdisciplinary academic community, composed of scientific institutions of global excellence. Included among these: The Centre for Addiction and Mental Health – CAMH (Canada), James Cook University (Australia), University of Fribourg (Switzerland), Ecole des Hautes Etudes en Sciences Sociale de Paris (France), Ecole de Santé Publique de la Université de Médecine Henri Poincaré de Nancy I (France). This growing interest of the scientific community is the reflection of a global process, observed for some decades, of approach and opening of western culture towards concepts and methodologies on health issues coming from different Traditional Medicines around the world. In this context it is of fundamental importance to have rigorous and reliable information that can be useful to those who work and make decisions in the field of health and public policies. Scientific research has the fundamental role of generating such information. In order to guarantee accuracy and quality, we consider that collaboration with scientific and academic institutions specialized in the fields of mental health, addictions and neurosciences, is the key factor. 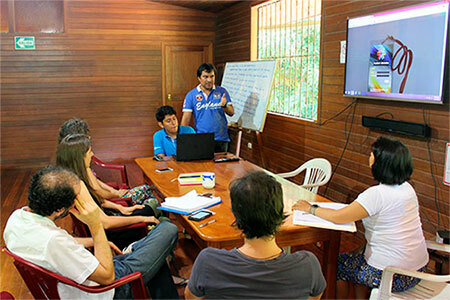 To improve the evaluation accuracy of the therapeutic proposal and contribute to a broader understanding of addictions, Takiwasi Center is developing a computerized system for collection, systematization, management and evaluation of therapeutic and clinical information called Plus, whose challenge is to adapt to very different practices such as Traditional Amazonian medicine and modern psychology and medical science. This project is mainly intended to promote and facilitate scientific research, but also to support therapists in their daily monitoring activities and to improve the accuracy of documentation of their clinical cases. The importance of this initiative lies in the need, recognized by biomedical sciences, to perform more research that can contribute to improve the understanding of addiction and to develop effective interventions against it. The innovative nature of the treatment of the Takiwasi Center, which consists in providing an intercultural view of the causes of addiction, as well as in the way of dealing with them and the mechanisms for rehabilitation, is a valuable opportunity for research in this field. The Plus system focuses directly on meeting this need, storing clinical information that reflects the rehabilitation processes of hundreds of people from different ethnic, cultural and socioeconomic origins. The clinical information stored thanks to the Plus system is already being used by researchers from different countries and disciplines, to deepen the understanding of the mechanisms behind addiction and the approach of the Takiwasi Center. The empirical observation has been able to confirm the high efficacy of traditional ancestral practices to treat addiction to toxic substances, while we still consider the need of a validation of our protocol by the international scientific community. For this reason, several initiatives have been put in place. One of them is the evaluation of the efficacy of the treatment in Takiwasi under the ATOP Project (Ayahuasca Treatment Outcome Project). This is an international research project that started in 2013 in which several countries have been collaborating such as Canada, Mexico, Brazil, Australia, among others. The objective is to systematically evaluate the therapeutic effects and the effectiveness of the treatment of addictions based on the articulation of Traditional Amazonian Medicine and modern psychotherapy. To ensure adequate dissemination of the results and findings, Takiwasi presents its research work and clinical experience in conferences in the health field, participates in scientific media spaces around the world, and organizes scientific forums of international significance. 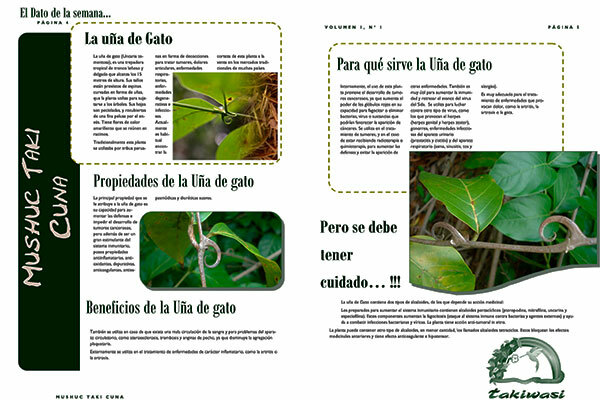 Starting from the fundamental research based on an intelligent articulation of the contributions of modern and empirical medicines, and especially from the applied research in ethnobotany, since 2007 a pharmaceutical laboratory has been created within the Takiwasi Center for the production of high-quality natural products based on Amazonian medicinal plants. In addition to producing high-quality natural products inspired by Traditional Amazonian Medicine, the Laboratory works with native communities so to help them to regain control over their own ancestral knowledge related to the use of medicinal plants, researching and protecting this source of wisdom. Born as a strategic project to combine the conservation of the environment and the inclusive development of the communities, the Takiwasi Laboratory has been transformed into the productive unit of the Center, dedicated to Biotrade and to promote the generation of added value in the sustainable use of the resources of the Amazonian biodiversity. 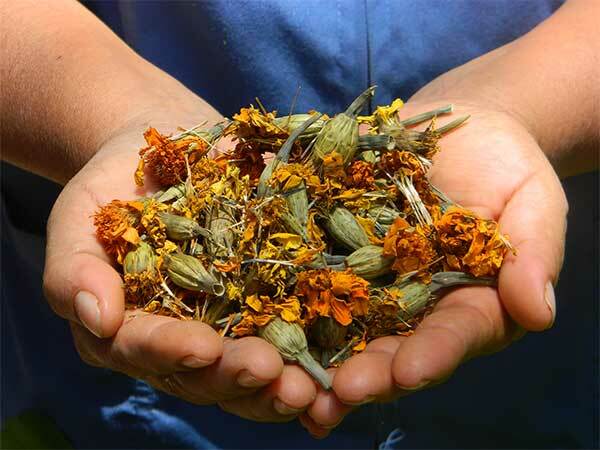 - Phytochemical profiling of Amazonian Herbal Medicinal Products: The role of traditional processing methods, Matteo Politi, Giorgia Tresca, Marco Soffiato, Richer Garay Montes, Fernando Mendive, Journal of Medicinal Herbs and Ethnomedicine, Vol 5, January 2019. - Conceptions and practices of an integrative treatment for substance use disorders involving Amazonian medicine: traditional healers’ perspectives, I. Berlowitz, C. Ghasarian, H. Walt, F. Mendive, V. Alvarado, C. Martin-Soelch, Published in Revista Brasileira de Psiquiatria, ahead of print, Epub Dec 18, 2017. We investigate traditional Amazonian medical knowledge and practices.